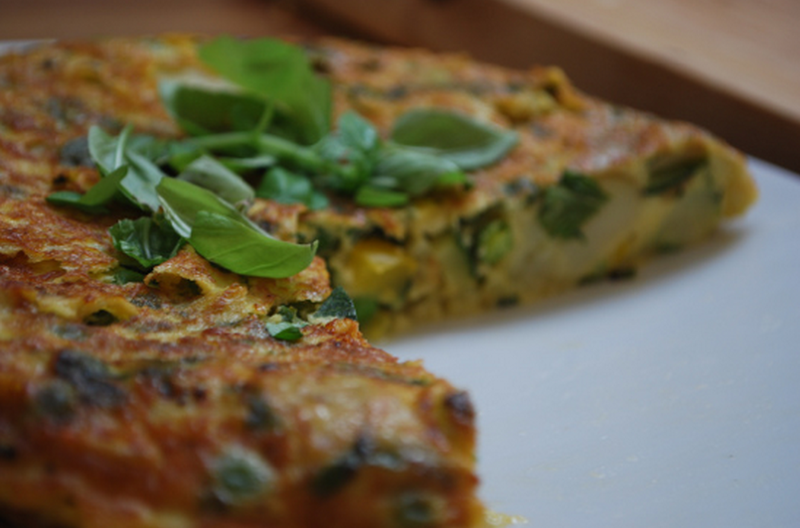 This simple Sweet Potato Frittata is quick and full of nutrients but, most brilliantly, is wonderful as a picnic meal. Sweet potato is an incredibly versatile food and one we should really try and add to our regular weekly shop. They are full of beta-carotene, the vegetable source of vitamin A, as well as soluble fibre and immune boosting antioxidants such as vitamin C.
Eggs are nature’s fast food and are packed full of protein which is important for growth and repair, especially in children, as well as valuable B vitamins for energy. 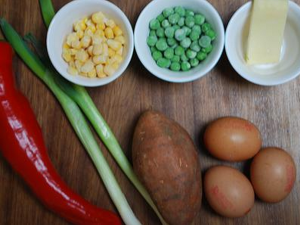 By providing a rainbow of colour on their plate (such as peas, sweetcorn, red peppers, etc) you not only make it look good but are making sure they eat a huge variety of phytonutrient-rich foods which will help to keep your family healthy and strong. 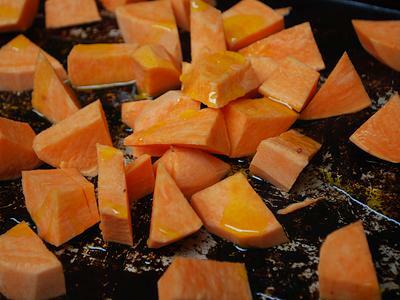 Chop your sweet potato into small cubes (approx 2 cm squared) and scatter onto a baking sheet. Drizzle with a little oil and roast for 15-20 minutes until softened and cooked through. 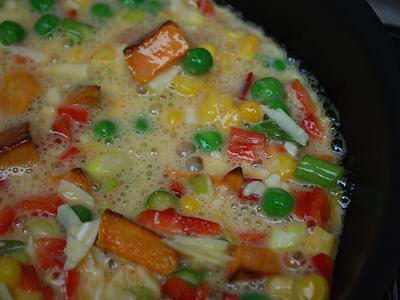 Whilst this is cooking prepare the red pepper and spring onions. 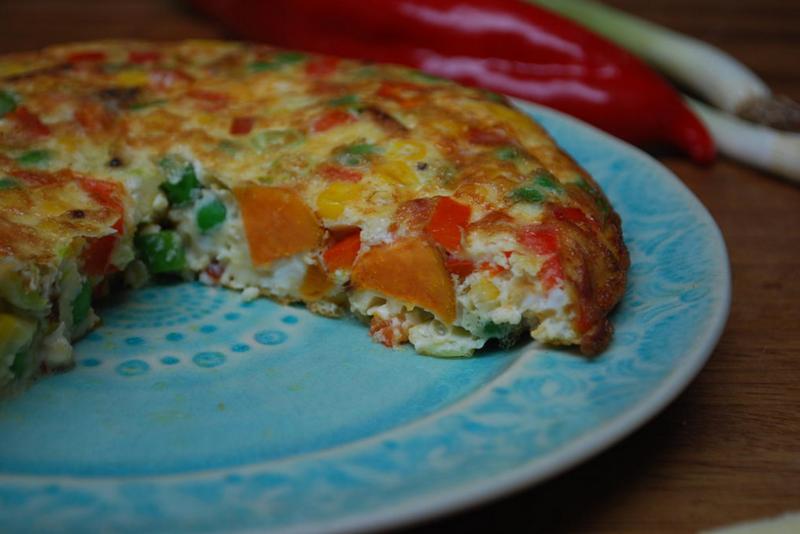 Crack your eggs into a bowl and add your vegetables and cheese. Mix all together. Place a small frying pan (with a metal handle) on the heat and add a little butter. 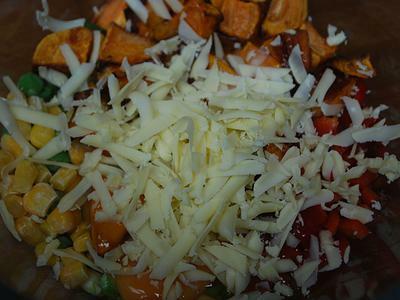 Scatter in the cooked sweet potato and pour in the egg mix. 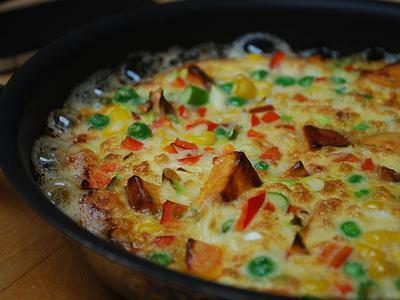 You want to hear the sizzle of the eggs cooking in the pan and allow everything to cook for a few minutes on the heat. Don't be tempted to stir. Place the frying pan into the oven and cook for 10-15 minutes until it's cooked through and there is no wobbly-ness. Turn onto a plate and serve hot or cold in wedges. 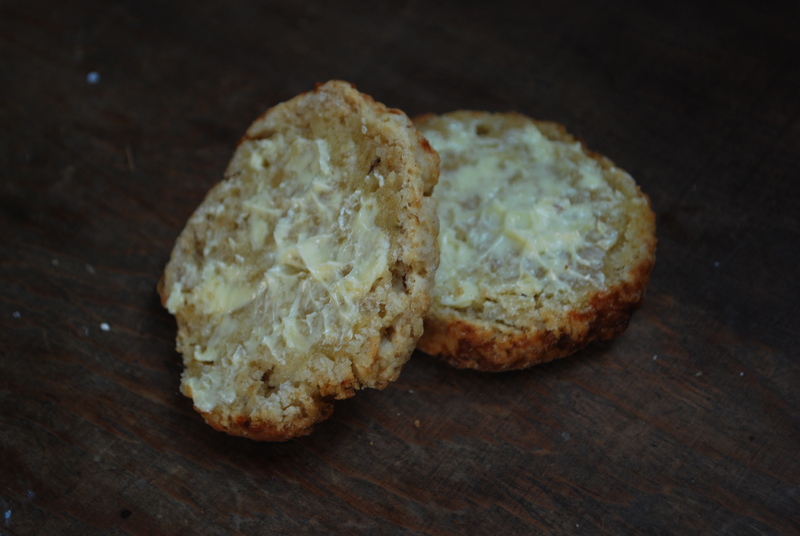 LUNCHBOX TIP: You can pour the eggy mix straight into silicone muffin tins and cook in the oven this way. They just pop out and can be stored in cupcake cases. 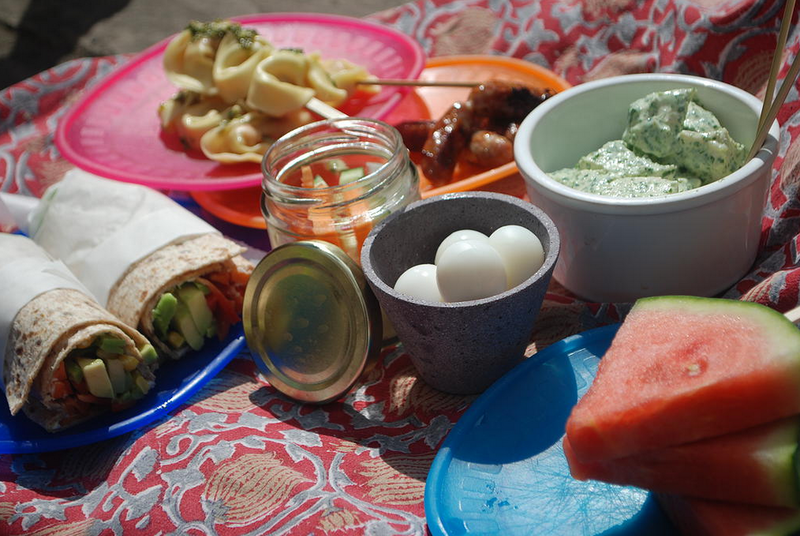 A perfect lunch box meal.